To the devotee and the uninitiated, “The Seasons in Quincy” inspires the urgent passion of the curious. With “The Seasons in Quincy” Tilda Swinton and her collaborators, Colin McCabe, Christopher Roth and Bartek Dziadosz created four films that honour their muse. While each film offers glimpses of Berger and his life in Quincy, alongside one another they compose a piece of affecting beauty and eloquence. The resulting effect of the opportunity to spend this time with John Berger, is he becomes a friend of great import; a cherished relative whose words resound long after being spoken. The unpretentious pragmatism of “Ways of Listening” (the first of the four films) lends the intimacy of a home movie, demystifying the enigmatic pair. 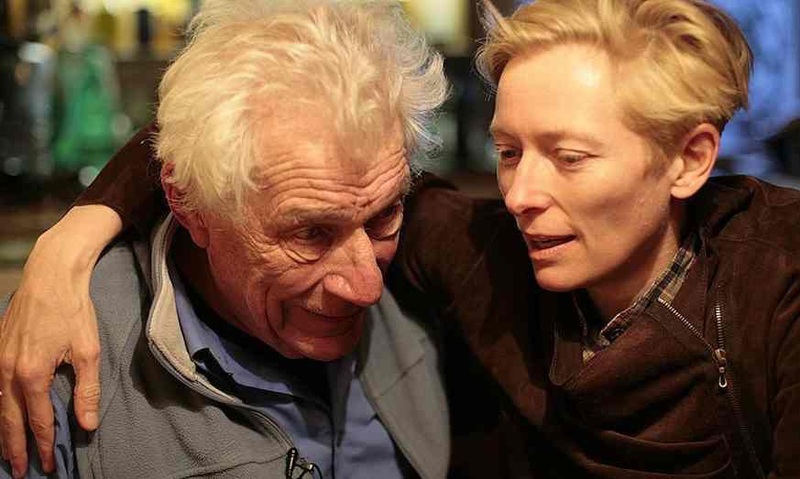 The tenderness Berger and Swinton share is tangibly evident in their candour. And this extends beyond the screen, inviting us to share in this uniquely nurturing friendship. In “Spring” the visceral effect of John Berger’s ability to guide our attention to a keener awareness of our surroundings and our relationship with them is devastating. Famously moving to Quincy to live as a peasant in 1973, Berger’s words illuminate the images with tender truths, realised while he determinedly bore witness to the remnants of this most ancient of communities. “A Song for Politics” revels in Berger’s intellectual flair, but perhaps more powerfully, in his humility. Contrasting discussion with documentary footage the incisiveness of Berger’s mind is inarguable. Yet it is his compassion and attention to those around him, which leaves the deepest impression. Directed by Tilda Swinton, “Harvest” is perhaps the most adoring of Berger. Understandably so, given our introduction to their exquisite relationship. Like a treasured photograph framed at a bedside, this final piece pays loving tribute. Family is riven through the core of the film, as the next generation carry their learnings forward, while ever aware of the source. And now, a confession. Prior to seeing the film, John Berger had not featured in any of my (evidently limited) readings. Yet now, with the same zeal with which I consumed Bob Dylan’s music after “I’m Not There”, “The Seasons in Quincy” has ensured my commitment to discovering John Berger’s writings, so I may continue this extraordinary communion.